The strength 4 DAddario Reserve Alto Saxophone reeds taking over from the Rico Reserves are a fantastic reed for the advancing musician. Engineered to give great performance as well as consistency these USA designed cane reeds give a focused sound and an even response. A traditionally designed vamp give the reed a classic saxophone sound. 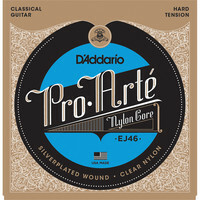 Daddario Prelude bass strings are multi-stranded steel core strings that produce a warm tone quality with good bow response. The special core design and reduced tension makes for strings that are very easy to play especially for younger developing players. 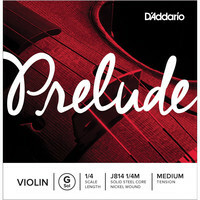 The DAddario Prelude Violin G Strings balance optimum sound quality and playability with an affordable price making them ideal for beginners and intermediate players from a wide range of backgrounds including classical folk country and bluegrass. 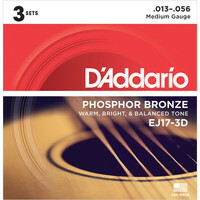 The DAddario Prelude Cello A Strings are solid steel core strings unaffected by temperature and humidity changes with a precise bow response. Prelude strings have the warmest sound available in an economy solid steel core string design. 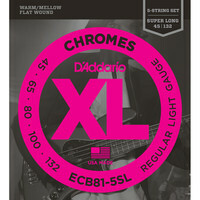 ECB81-5SL the 5-string super long version of DAddarios best-selling Flatwound bass strings are known for their warm mellow tone and smooth polished feel. With the addition of a .132 low B ECB81-5SL Chromes deliver a deep rich low bottom end which makes them the flat wound choice of Jazz R&B and Pop musicians. Fits super long scale basses with a string scale length of up to 38 inches. 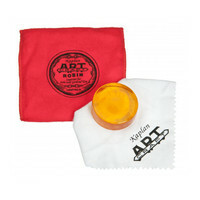 DAddario Kaplan Artcraft Rosin is a light rosin created using the original recipe handed down from the famous violin maker Ladislav Kaplan. This high quality rosin produces very little dust helping your instrument to remain cleaner than when using other rosin types. 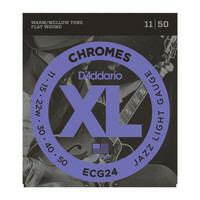 DAddario ECG24 XL Flatwound Chromes are warm and mellow-sounding electric guitar strings perfect for styles such as Jazz Blues and Rockabilly. The D’Addario Kaplan Amo synthetic core violin E string offers professional quality and an unrivalled combination of premium tone smooth playability and impressive projection. Designed for instruments that naturally sound very bright and brilliant the Amo E string produces a warm rich and flexible response resulting in a darker and powerful tone. With a short break in time and excellent bow response the D’Addario Kaplan E string provides continuous quality and innovation perfect for all players. 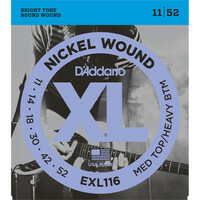 DAddarios lightest gauge of acoustic strings EXP10s are ideal for beginners or players who prefer a softer tone and easy bending. The coated strings provide up to four times the life of regular strings. Daddario Helicore Orchestral bass strings are multi-stranded steel core strings that produce a warm tone quality with excellent bow response. The core design makes for strings that are very easy to play under the left hand. Damping is optimized for arco use making them ideal for symphonic performance.